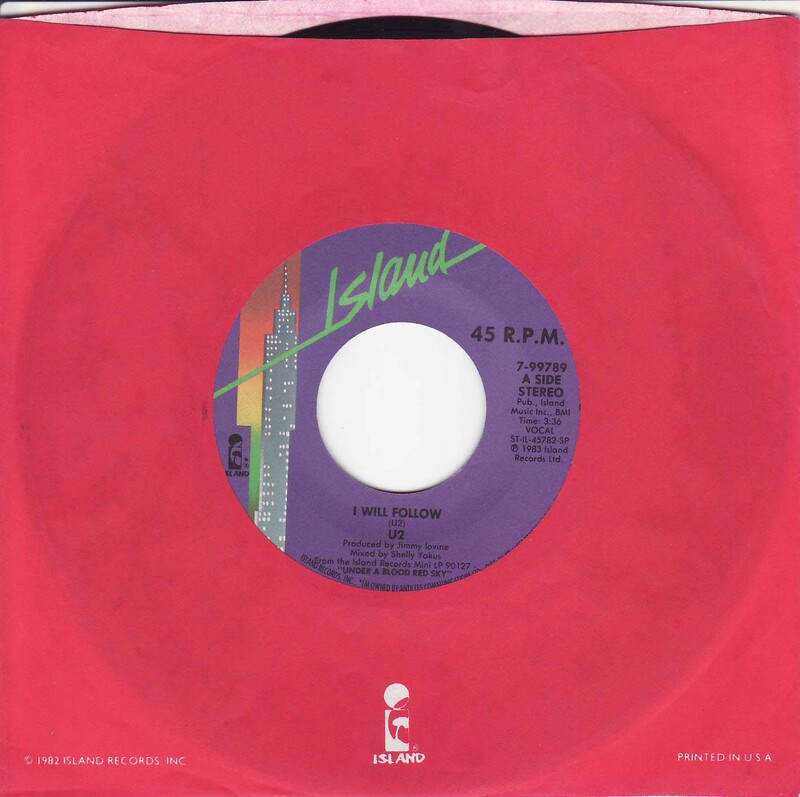 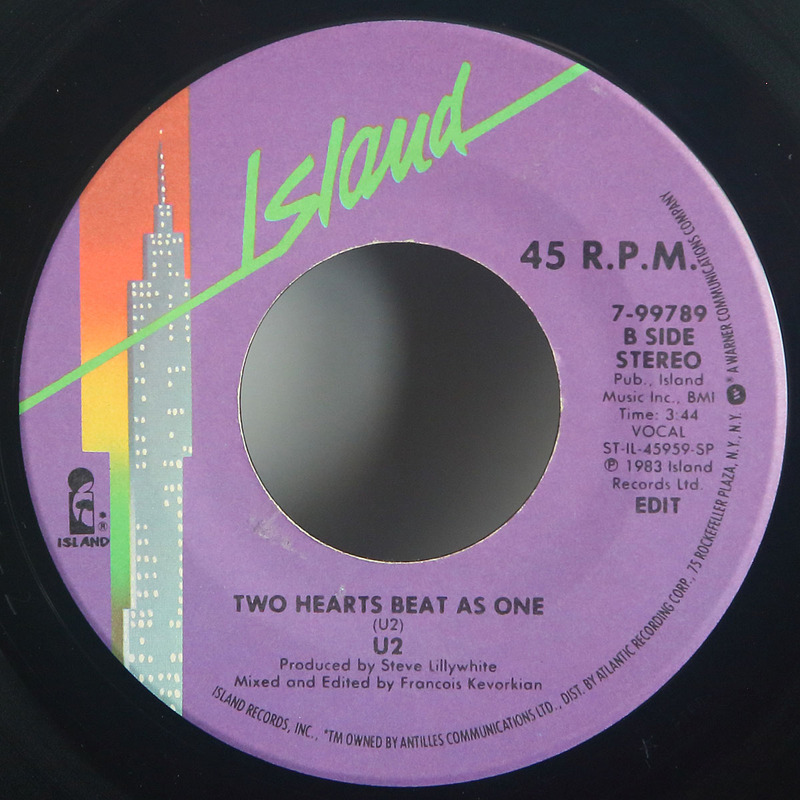 A-Label: Purple Island with large hole. 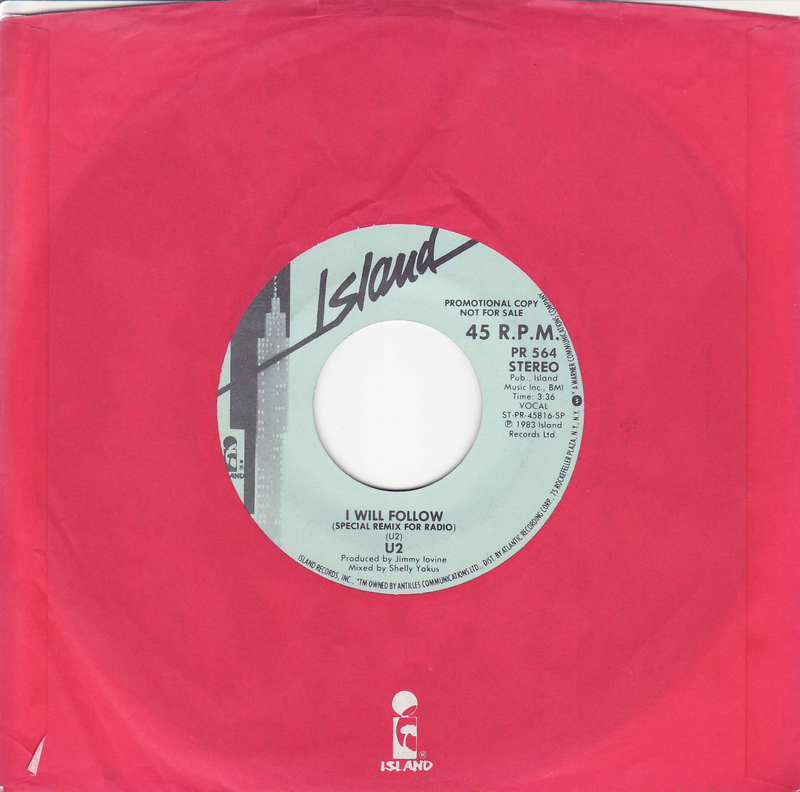 A-Matrix: "ST-IL 45782-6 PRECISION 1-1"
B-Label: Purple Island with large hole. B-Matrix: "ST-IL 45959-2 STERLING 1-1"
A-Label: Promo blue Island with large hole. 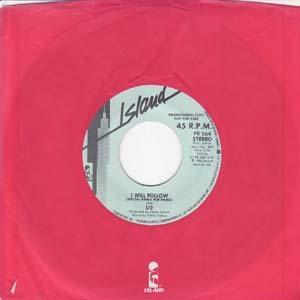 B-Label: Promo blue Island with large hole. 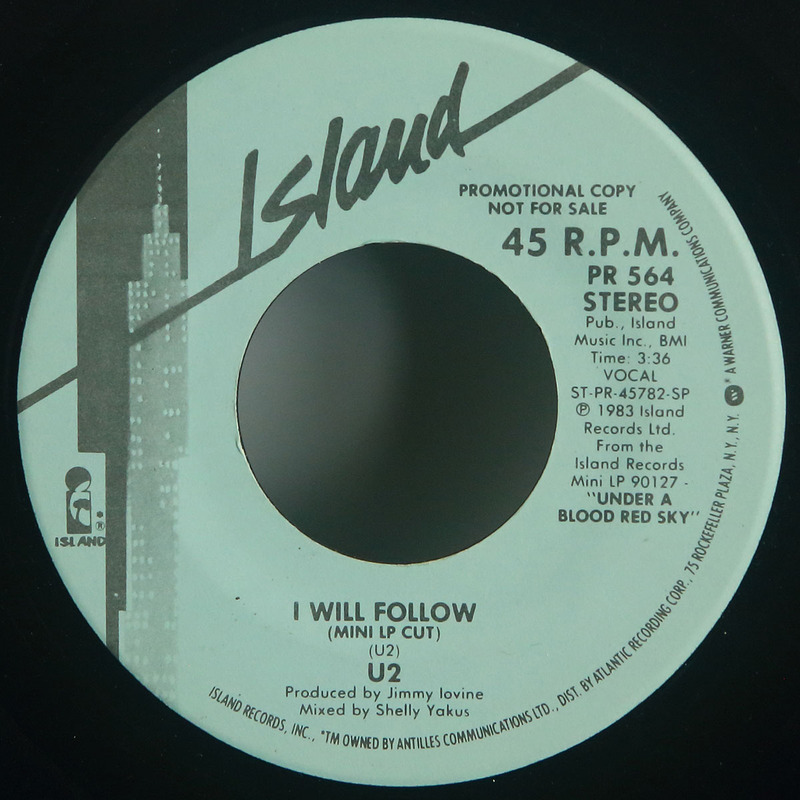 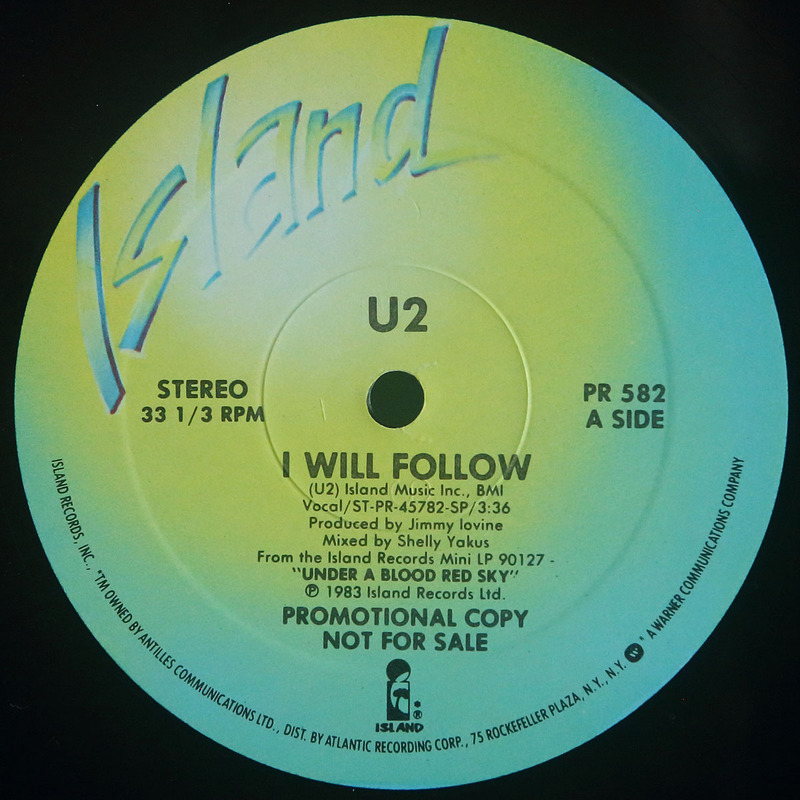 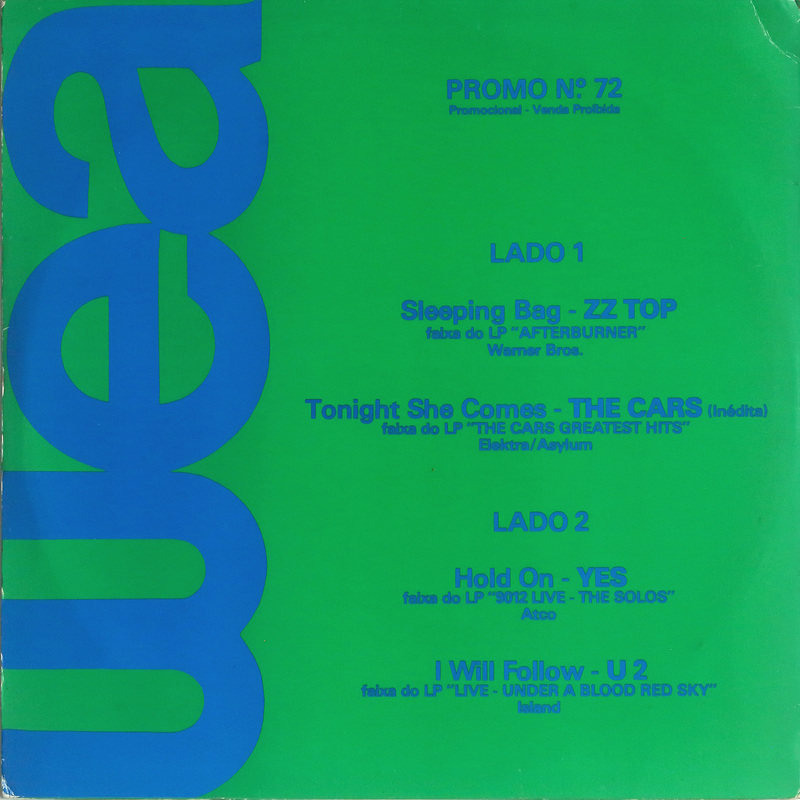 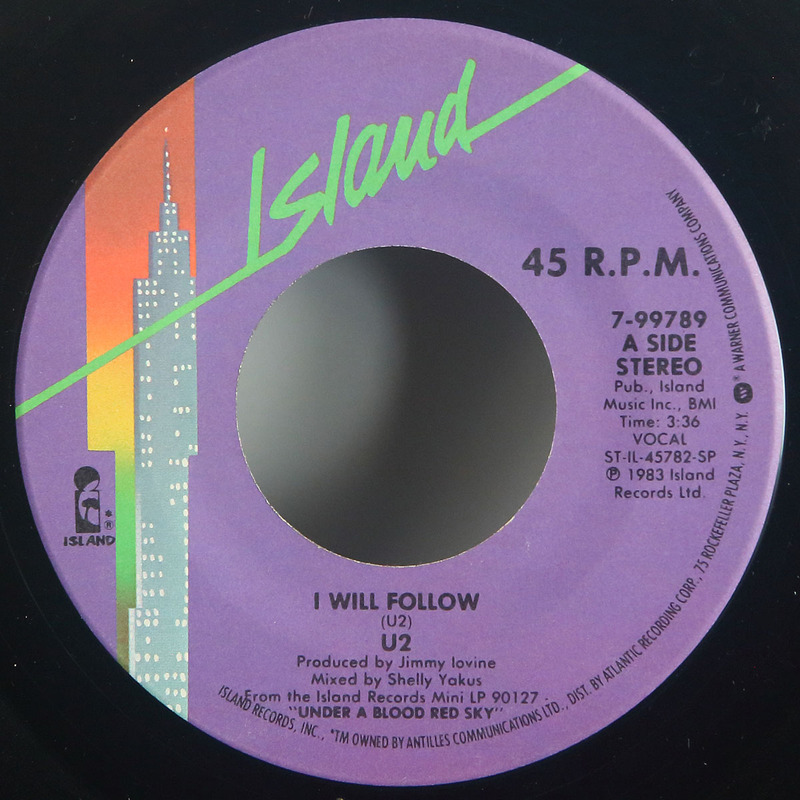 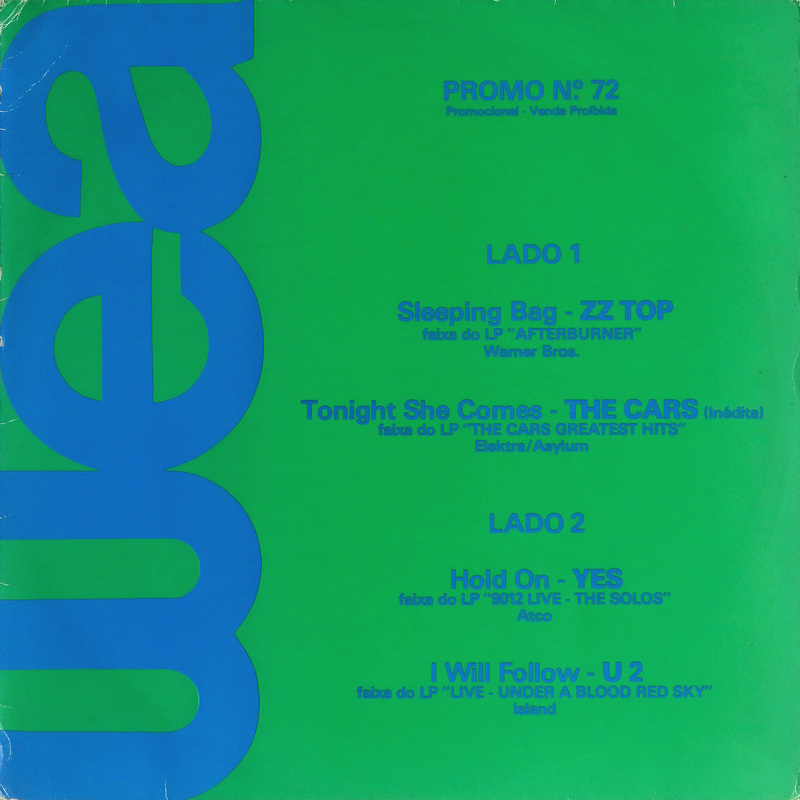 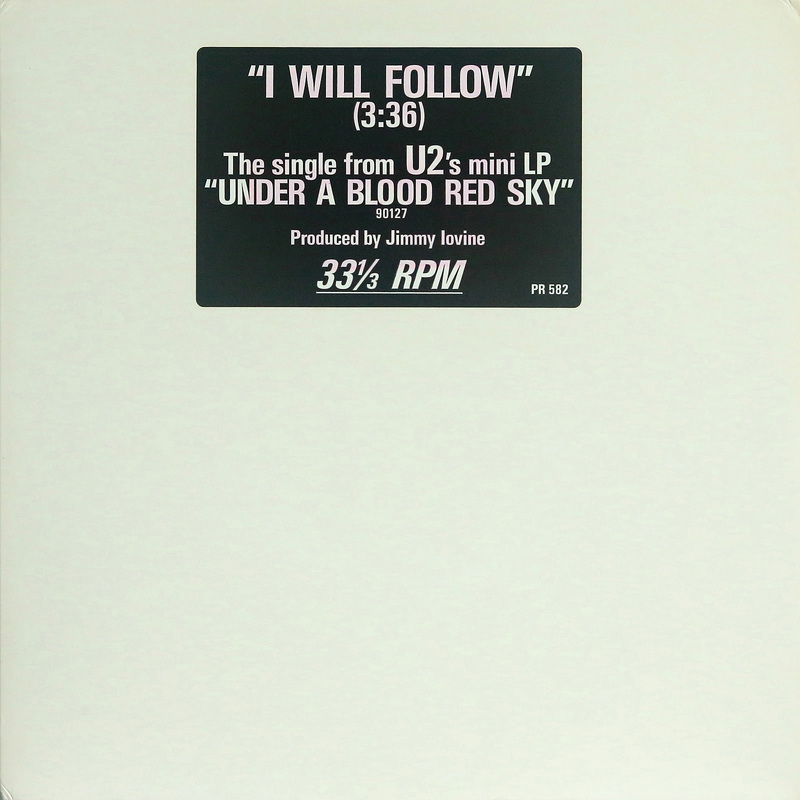 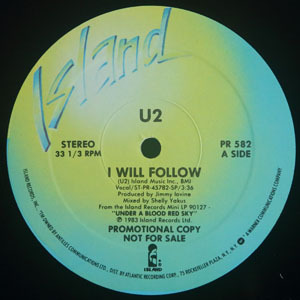 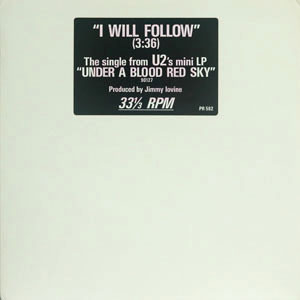 B-Matrix: "ST-IL 45782-2 PRECISION 1-1"
I Will Follow (Live) - 12"
Front PS: Promo WEA title sleeve. 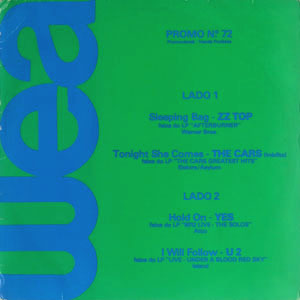 Front PS: Plain white sleeve with title sticker. 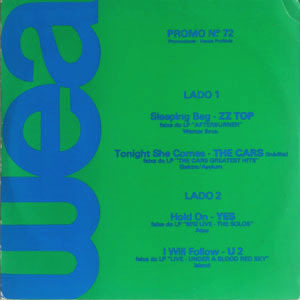 A-Label: Promo blue & yellow Island. 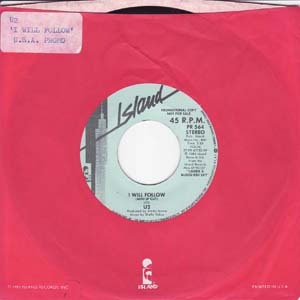 B-Label: Promo blue & yellow Island.